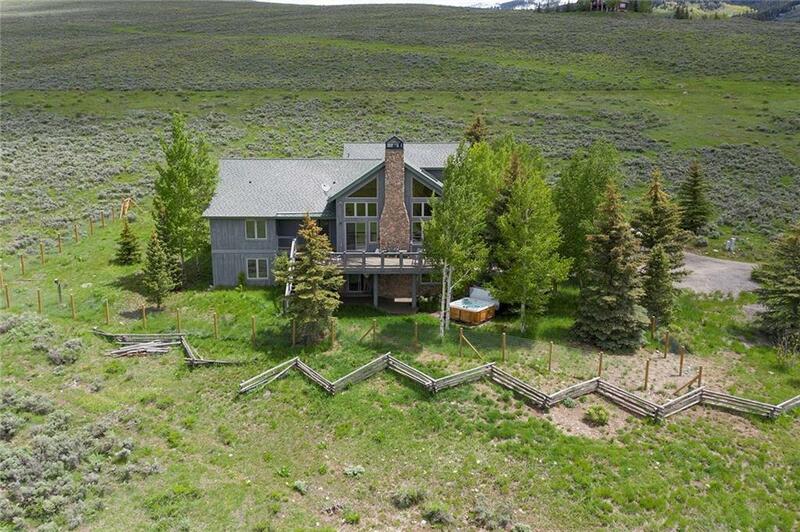 All Silverthorne homes currently listed for sale in Silverthorne as of 04/22/2019 are shown below. You can change the search criteria at any time by pressing the 'Change Search' button below. "Located on approximately 255 acres, Triple Creek Ranch is less than 90 min from Denver & just 35 min from a NetJets-rated airport. 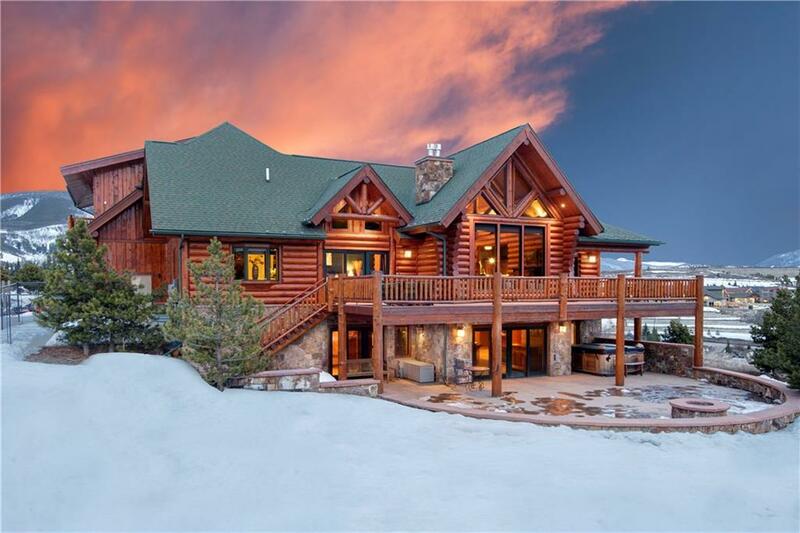 Surrounded by National Forest, this private sanctuary is complete with 2 luxury single family log homes & magnificent mountain views, offering a 4-season getaway. An equestrian lover s paradise, enjoy a professional indoor riding arena & 10-horse stable. Triple Creek Ranch has been the summer home to the Denver Bronco s team mascot, Thunder, for the past 15 years"
"3 Bears Ranch combines the comfort of a private luxury estate with recreational opportunities throughout the prestigious 5860-acre Shadow Creek Ranch. A custom handcrafted Sitka log home that is designed for social gatherings with its open floor plan, massive great room and enormous chef s kitchen. Boasting 3 master suites, 4 guest suites, home theater, wine cellar and a 4,000 s.f. barn. 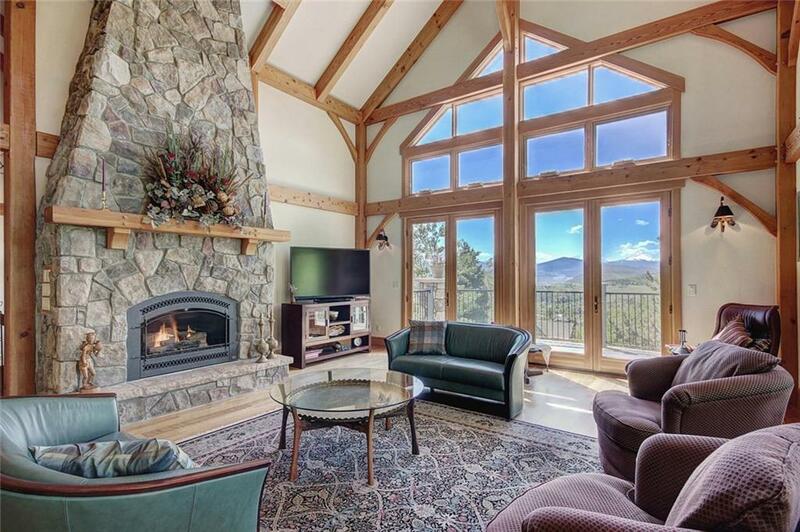 Complete with custom furnishings and sophisticated rustic finishes for a relaxed, Colorado high country fee"
"PANORAMIC VIEWS from this new spectacularly created home at Angler Mountain Ranch. As the living spaces flow through interesting angles and pathways, the surrounding water features create a magical feeling of living outside in a natural mountain environment. Unique features include a private reading room, office with walls of glass, mountain facing kitchen bar area, family room, bar with wine cellar and over 1,000 sq ft of outdoor living! Even has an elevator.Scheudled delivery March 1, 2019." "UNIQUE OPPORTUNITY TO OWN TWO DUPLEXES comprising of 12 Bedrooms and 8.5 Bathrooms where you can live, rent and have flexibility of how you want to operate this property for rental income and/or personal use. 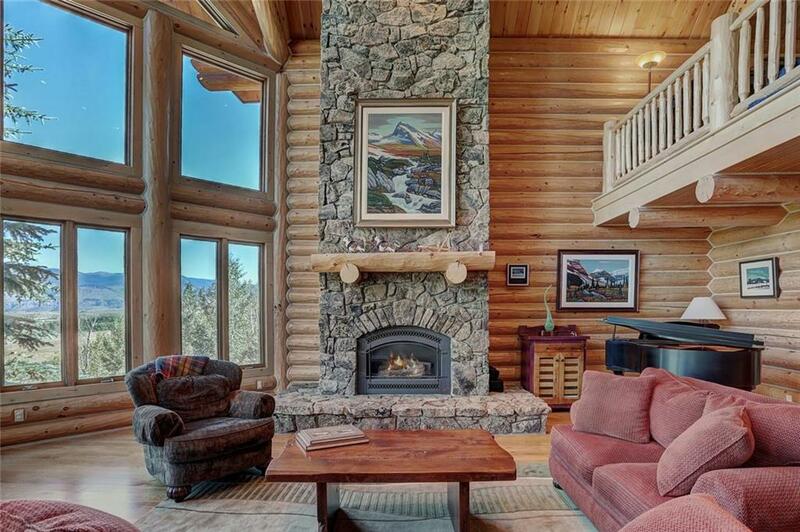 True LOG CONSTRUCTION with a mountain cabin feel where hiking trails are out the backdoor. 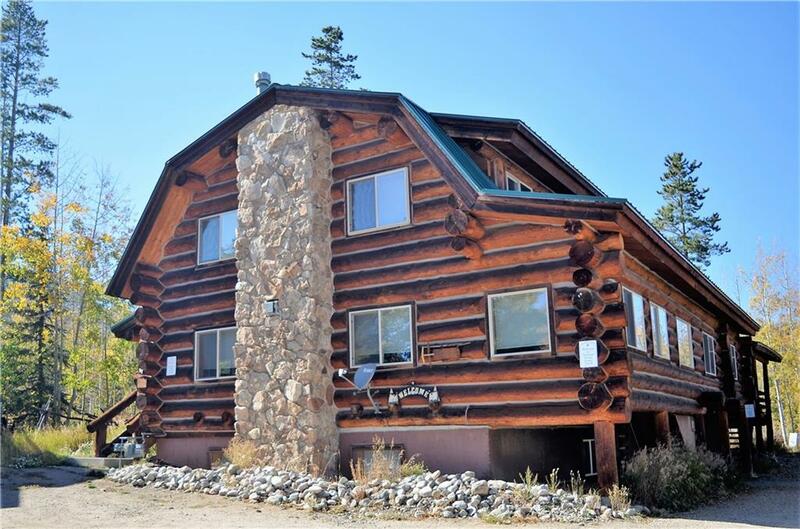 Centrally located to enjoy all that Summit County offers including easy access to 4 Ski Resorts..35 minutes to Vail, CO. Lake Dillon Marina is 10 minutes away...Gross Rental Income $160,000-$180,000." "Take in a view that in this one of a kind home with a premium design and location. Suited with 5 beds & 6 bathrooms. There are far to many elite finishes to document. You must see this home to fully understands all it has to offer. Craftsmanship at its prime, Huge 5 car garage, 5 private heated patios, elevator, hand crafted Amish cabinetry, custom milled doug fir timbers, solid 1.25 oak floors, grand foyer, custom steel bannister created by local artist. This Home has it all!" 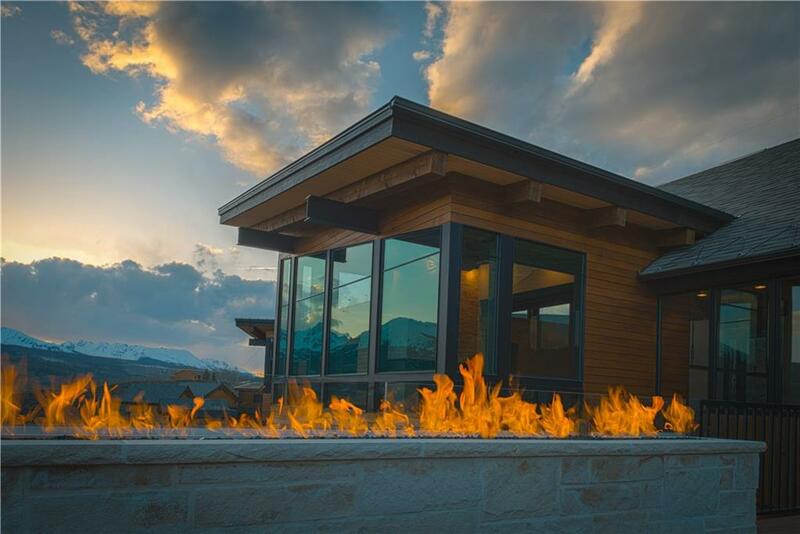 "Enjoy a relaxing glass of wine by the fire from your main floor patio while you soak in the views across the valley to Keystone Mountain. This home is an architectural masterpiece, with the location and views to separate it from the pack. Exquisite stonework, cantilevered steel framing, 3 car garage and wine cellar, accompanied by large outdoor spaces make this home ideal for entertaining." 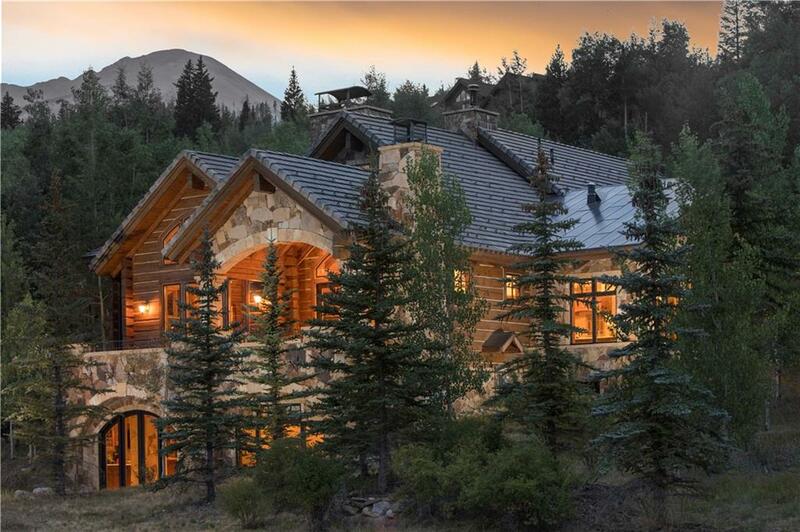 "No home displays better views of the seventh hole on the Raven Golf Course and Gore Range than this Italian-style home. Whether you are in the master bedroom, loft, or entertainment room, you have a perfect view of Colorado mountains. The architecture boasts exposed beam work that flows throughout the home, accenting luxurious finishes. Spend the evening on your large deck and patio or head into close-by Silverthorne for dinner. With this home, you have the opportunity to live the life you love." 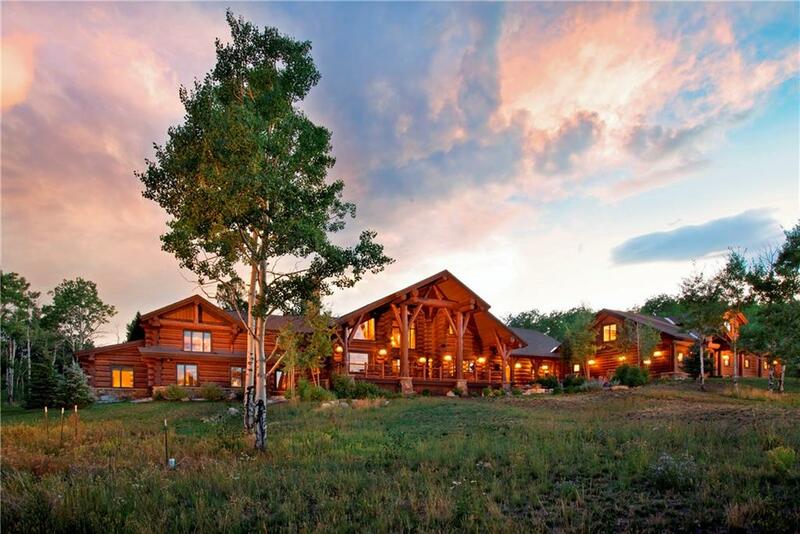 "Exceptional log home set on 20 acres with Blue River access via easement. Spacious and open floor plan with main floor master suite plus 4 additional bedrooms all with ensuite bathrooms and a whole house humidification system. Set among the aspens there is an abundance of outdoor space with a private hot tub, built in bbq grill, firepit and a separate dog yard. Relax in one of the 2 large living spaces, park your toys in the oversized 3+ car garage & organize your gear in the gear/storage room." "Private heavily wooded lot backs to White River National Forest. Peaceful, imposing 3-story home perfect for raising a family or hosting get togethers and/or gala parties. Mountain living provides the opportunity to observe deer, elk, moose, fox, coyote, bear, etc. Maybe the only Eagle's Nest home with a fenced yard for children or pets. The 15' x 30' warehouse with a 10' ceiling is connected to the oversized 3 bay garage. Minutes from I-70 Exit 205. Completed in 2005 this home feels new." 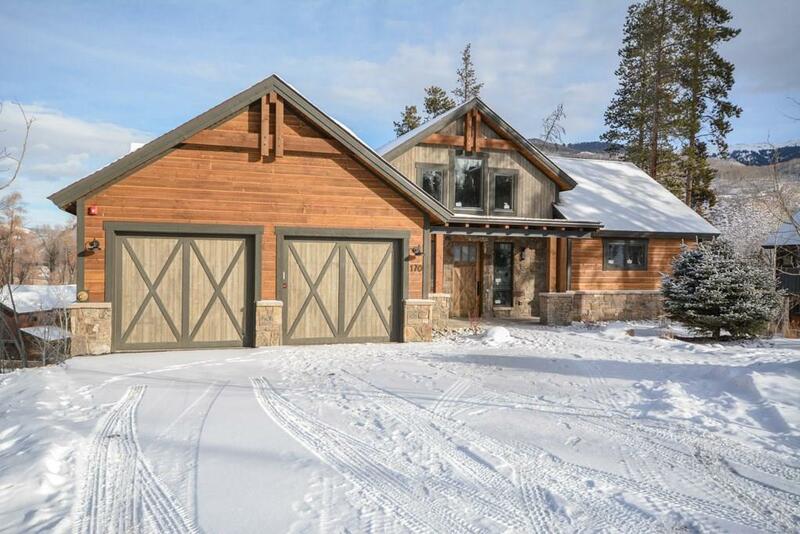 "Massive unobstructed views of the Gore Mountain Range from this immaculate contemporary mountain home with main floor master, open floor plan, wine room, steam shower, mud room, and exercise/media room. Check out the dude Cave and the pub! Gourmet Chefs kitchen, walk in pantry & commercial gas range. Heated garage. Semi Private road, Hiking & Snowshoe trails out the door. Golf across the street at the Raven. Morning sun & amazing sunsets. Move in ready. Enjoy a REAL Rocky Mountain High!" 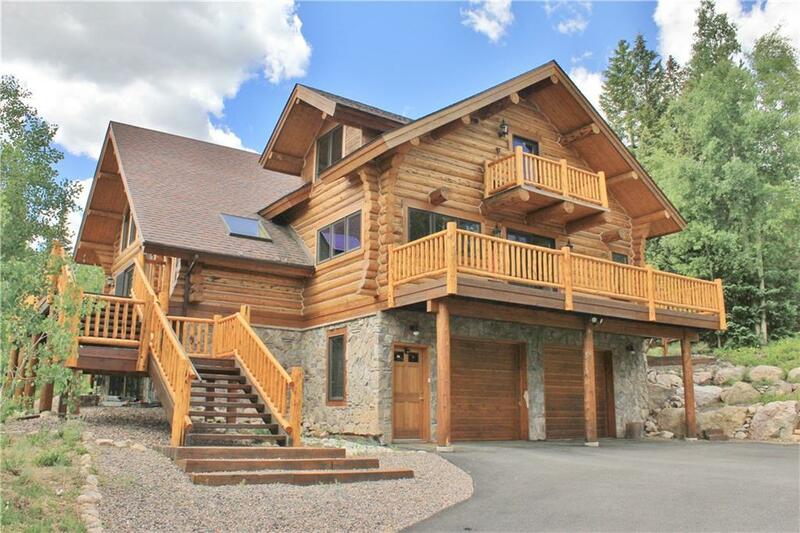 "A fantastic Montana Log home at the very end of the cul-de-sac & nestled into the mature trees on a quiet, oversized lot. Full log construction gives this home a cozy & warm feel. Enjoy the huge wrap-around deck off the living room & sun room w/east & south views, plus a large deck in back w/hot tub & grill. There are many extra features in this home you won't want to miss, so make your appointment and visit today! This home is partially furnished." "Views and luxury abound in this dazzling 5 bedroom + den home perfectly situated on the Raven Golf Course. Completely updated to the very highest standards and ready to enjoy this summer and beyond. The kitchen is stunning and features a Wolf range, thick granite, and the perfect layout. Main floor master suite, 2nd master on the upper level, and some of the best outdoor living space anywhere in the county. Whole house audio, media room in lower level, 3 car garage, massive storage. Excellent." 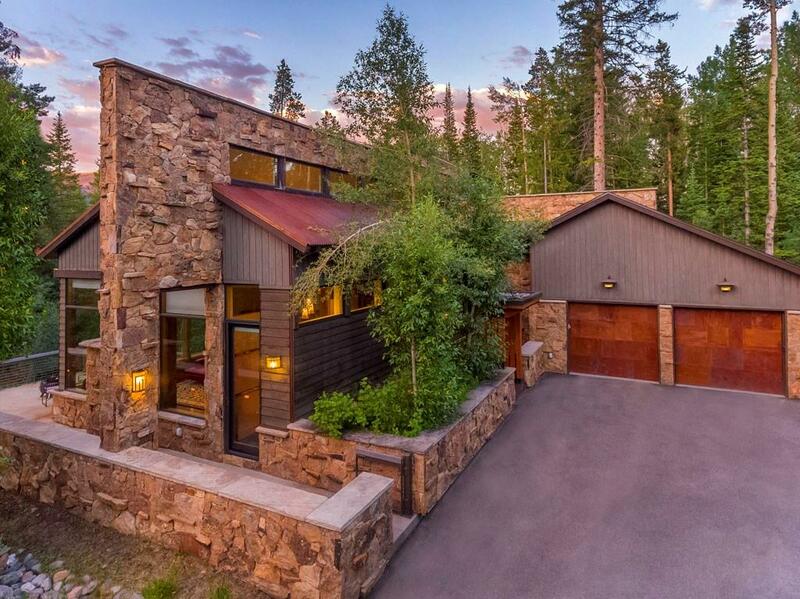 "Luxury and privacy abound in this stunning estate perched at the very top of Three Peaks, adjacent to the National Forest. Enjoy this private location at the end of the Cul-de-Sac from one of your 5 outdoor living spaces. Living, dining and kitchen areas seamlessly meld together into a truly great room which is anchored by a commanding see-through double stone fireplace. Main floor living with the master suite, expansive laundry, garage and much more all within steps of your living space." 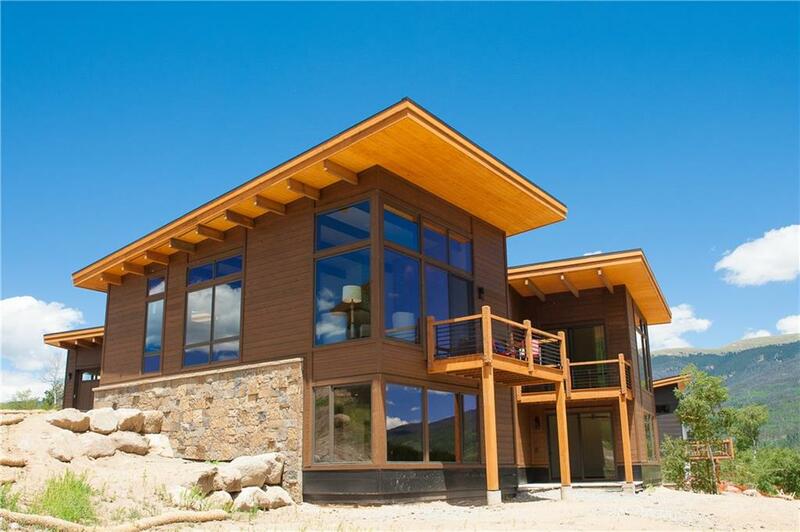 "As featured in Timber Homes national magazine, this outstanding timber frame home is a must see. On one of the best quiet and private settings in sought-after Three Peaks neighborhood, the open floor plan features expansive mountain views. This timeless design home has 4 bedrooms + loft/office, 4.5 baths with a sunny, south facing exposure. Impeccably maintained by original, current owners." "Listen to your mountain stream from the big wrap around deck of this gorgeous open floor plan home w/ multi-faceted vaulted ceiling & heavy beam construction, gourmet kitchen w/ 2 dishwashers, 4+ stall garage w/ in floor heat, vaulted master w/ fireplace & private deck, copious windows, fully heated driveway. 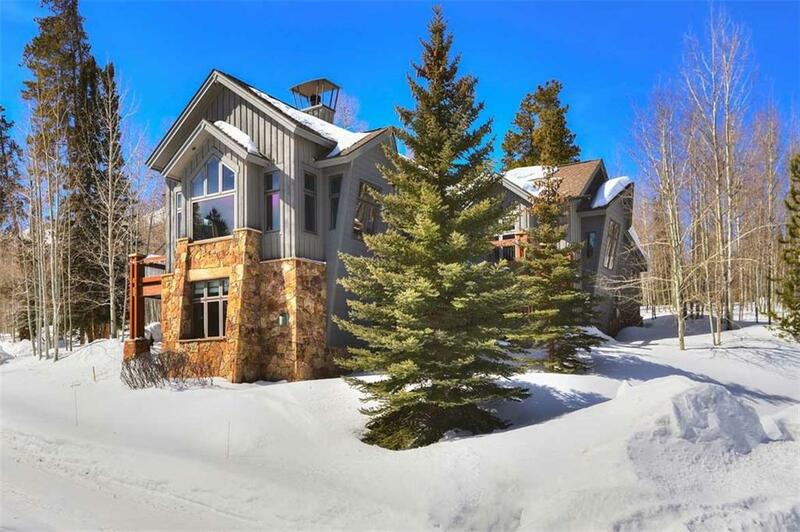 3 gas fireplaces w/ thermostatic control, spacious master bath w/ jetted tub & shower w/ 3 heads + steam, dumb waiter, Euro-style all-in-one W/D in master, 2nd king-sized master suite"
"Live the Summit County lifestyle in luxury! This flagship Summit floor plan home, completed in May 2018, is move-in ready. Summit Sky Ranch is a new housing development with community clubhouse, outdoor pool, hiking/biking trails, social activities, private fishing on the Blue River with beach/boathouse coming soon. 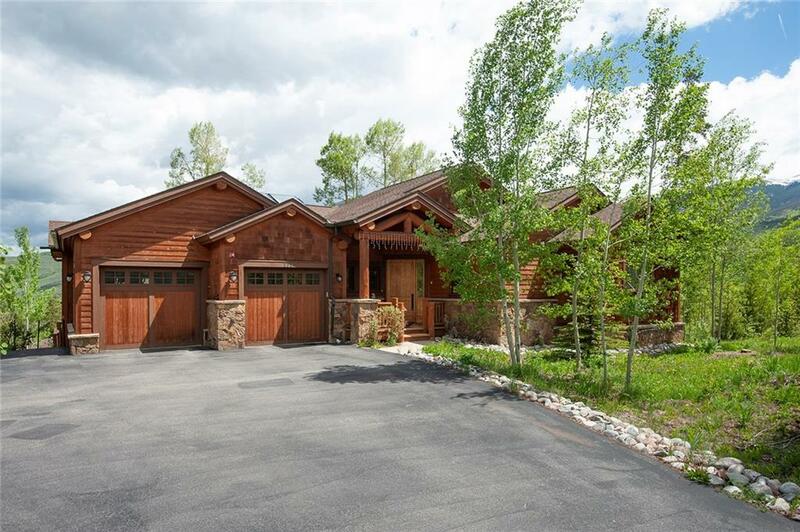 This home has many upgrades, including a large 920 sq ft heated garage and one of the more private lots, backing to open space and National Forest, with south-facing views." 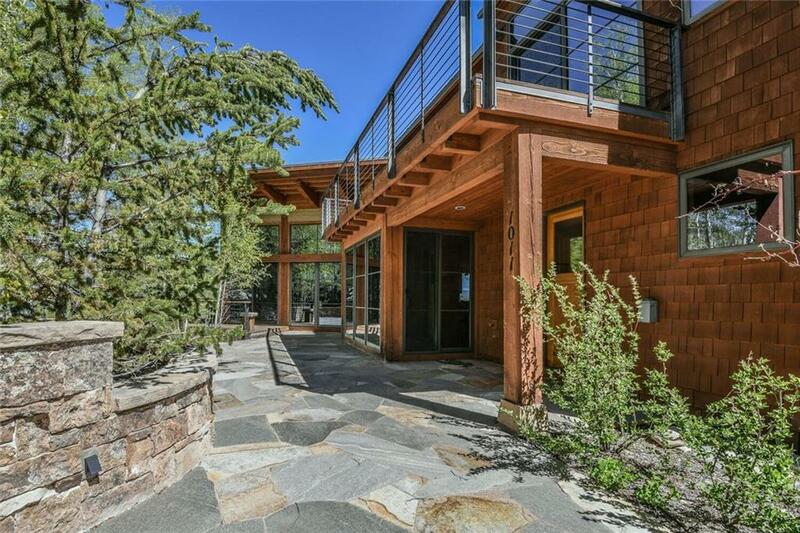 "Tranquil mountain retreat offering a contemporary design. Beautiful great room w/ample sunlight & views through huge windows. Amazing terrace off great room: perfect for entertaining. Privacy galore. Wood beams create the perfect modern mountain balance in great room. Main floor master w/private balcony for single level living. Media room & full bar in lower level. Add'l patio off media room. 3 large bedrooms downstairs w/private baths & large closets. Bonus room easily converted to bedroom"
"It is very rare that an opportunity becomes available in the coveted Pioneer Creek Ranch north of Silverthorne. 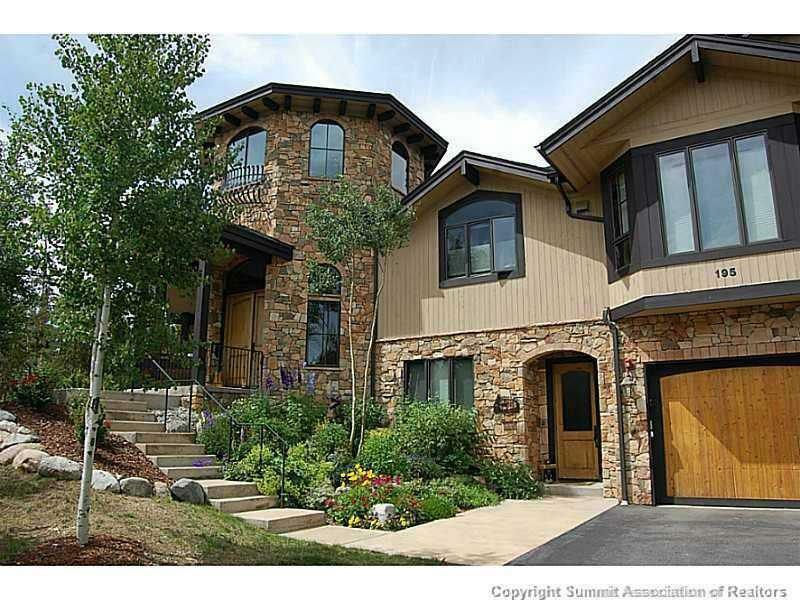 This residence enjoys 40 acres of supreme privacy & rests below a beautiful sheltering granite ridgeline to the north. The views of the Gore Range to the west are some of the most inspiring & breathtaking vistas in all of Summit County. Enjoy the peaceful ranch lifestyle with your horses & be only minutes to Silverthorne s downtown redevelopment for shopping, entertainment & dining." "Beautiful new construction home in the desirable Eagles Nest Golf Course Subdivision! Est. late 2019 delivery. Buyer can make selections & do upgrades if under contract early enough. Gorgeous finishes throughout. Open, spacious floor plan great for entertaining. Main floor master. Kitchen & living area extend out onto a large deck. Upper level incl. family room &back deck w/ hot tub. 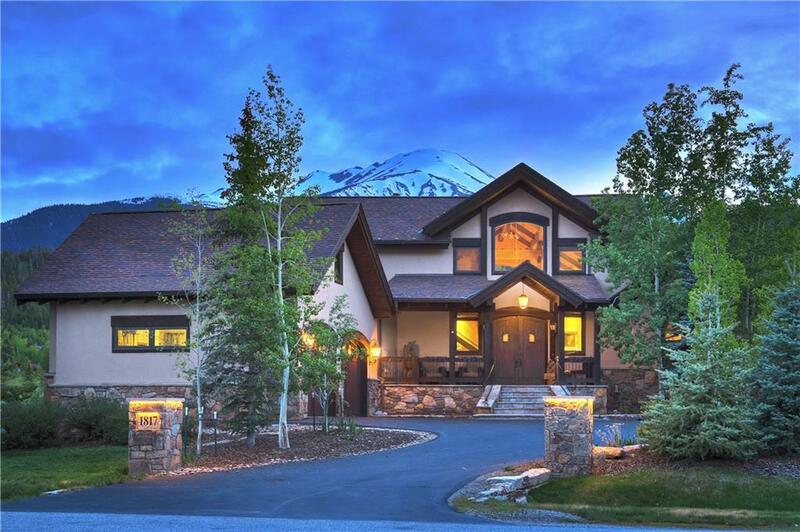 Great location w/ beautiful mountain views. Easy access to hiking/biking trails, golf, fishing, ski areas & more." "This well cared for, immaculate and like new home is located in the highly desirable Three Peaks Neighborhood. Views from every window. Two master suites, one on the main floor, master bath steam shower and heated jetted tub, two living areas, wet bar, Amish custom hickory cabinets, granite throughout, knotty alder doors and woodwork, in floor radiant heat, whole house humidifier, solar hot water heater, plenty of storage, 3 car tandem garage and wired for a hot tub on the patio. Never rented." "Great lot near many amenities! This 3431 sq ft double-master home is ideal for entertaining w/ enough room to accommodate everyone at the same time. Spacious, luxurious, indoor-outdoor living, the Summit is truly the pinnacle of mountain home ownership. Hop on a trail to the Aspen House and relax in the hot tubs, or come Summer time, head over to the 20-acre lake and Lake House for some paddle boarding. 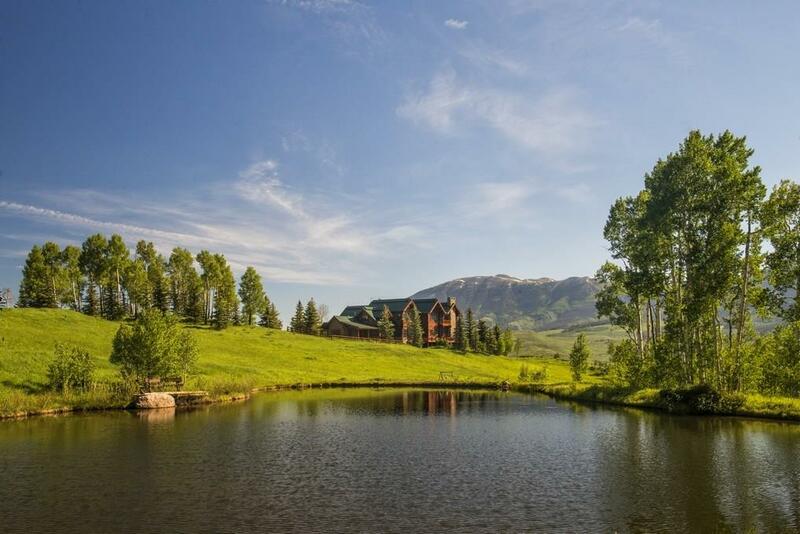 Other amenities include private fishing access, groomed Nordic Trails and sledding hill." "Privately set on nearly two acres and backing open space, this home has gorgeous views from nearly every window. Newly updated kitchen, baths, flooring, windows, decking and more. The floor plan boasts a main floor master and office/den. The second master and three additional bedrooms downstairs open to another large living area plenty of room for family and friends. Large deck, mature landscaping and gazebo. Did I mention the 4-car attached garage?"